England plays one more ODI series before the tournament kicks off on 30 May. They take on Pakistan in a five-match ODI series against Pakistan, which ends on 19 May before the ICC squad deadline on 23 May. This gives both Archer and Jordan a chance to still prove their worth. Commenting on the selection of the squads, national selector Ed Smith said: ‘In line with ICC regulations, we have to name a preliminary squad of 15 for the ICC Men’s Cricket World Cup before 23 April. ‘However, all 17 players named in the Royal London ODIs against Pakistan can stake a claim to be in the final 15-man squad, finalised at the end of that series. 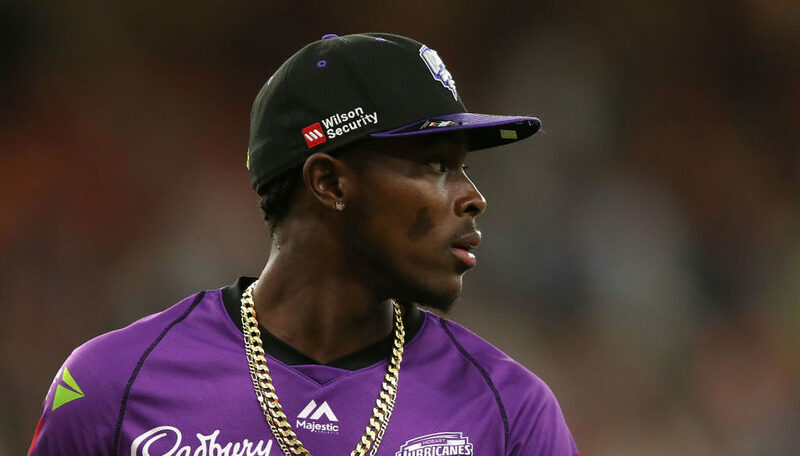 ‘The selection panel has been impressed with Jofra Archer’s performances in domestic and franchise cricket. He is a very talented and exciting cricketer. ‘Chris Jordan, a regular in T20I squads over the past few years, has continued to develop as a cricketer – as we saw in the IT20s in the West Indies. He fully deserves his return to the ODI squad.